When buying a car, those of us with credit problems would love to wave a magic wand and have our credit score instantly skyrocket from 500 to 700, right? If only. This fantasy, though, keeps hordes of so-called credit-repair agencies in business. You’ve watched their ads on TV, seen their claims on billboards and even noticed their contact info on those little wire-and-paper signs at the top of an exit ramp. “We’ll raise your credit score!” “We’ll erase your bankruptcy!” “We’ll fix your credit report!” “You’ll be able to finance that new car you want!” they claim. Sounds like the answer to your prayers, doesn’t it? Well, maybe.A Big Maybe. Fixing your credit and getting a new car can be a frightening and daunting experience. That’s why Tim Dahle Nissan in Murray has created the Auto Credit repair center. 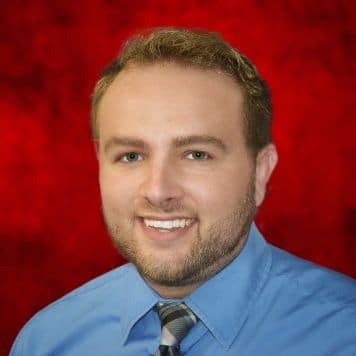 We understand the demands of the lending institutions and the needs of our customers.Our Loan professional Cody Smith has had years of experience working to satisfy both of those demands and making thousands of customers happy. most people find themselves in a situation where they need a new car but traditional finance companies and banks aren’t willing to understand your circumstances, That’s where we come in. Come visit us today or call Cody Directly at 801-410-7790. He can help you through the process and get you driving today. We finance First-time buyers, ITIN numbers, Short time on the job, low income, and anyone who has been turned down from traditional financing. Give us a call or stop in at Tim Dahle Murray and ask for Cody Smith. Purchasing a car? Come prepared and save time! Buying a car can be a difficult and frustrating process. But at the Tim Dahle Nissan Murray’s Auto Credit Repair Center, we want to make it as simple and easy as possible. With that goal in mind, we’ve made a list of everything you need to bring to the dealership so you can drive home in the car of your choice. Proof of any other type of income including child support, Social Security, etc. Tim Dahle Nissan Murray’s Auto Credit Repair Department invites drivers in nearby Salt Lake City, Utah that are interested in exploring auto loan options to visit our new and used dealership in Murray today. We work with motorists of all credit scores, so get in touch with Cody even if you have a rating lenders consider to be less than favorable. We can get you approved and driving today.